Central Cars is providing 20 free taxis tonight (August 10) for people travelling to Drapers Mills school in Margate for the Summer Kitchen scheme. 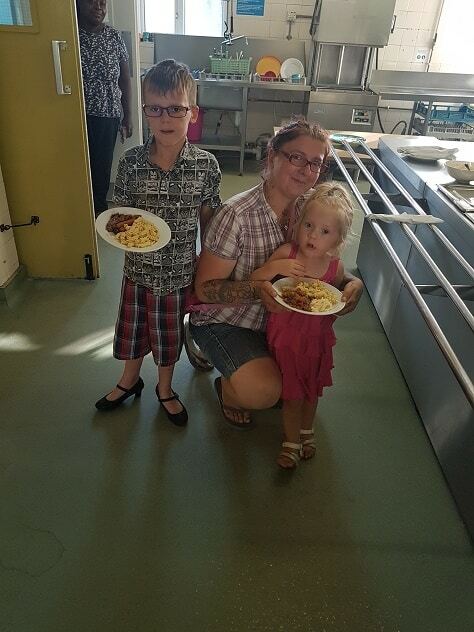 The community kitchen being run at the school until August 31 offers free meals, both eat in and takeaway. 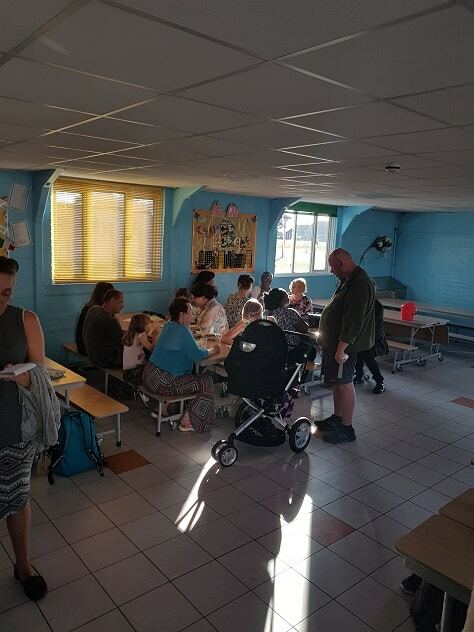 The scheme is being run by Our Kitchen on the Isle of Thanet with Drapers Mills school, Get Out Get Active (GOGA) Thanet, Fareshare, Asda, Windmill Allotments, Geoff Philpott’s farm, Your Leisure and county councillor Barry Lewis. 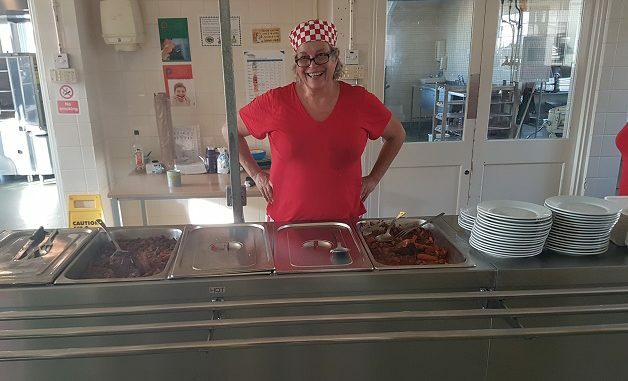 Our Kitchen on the Isle of Thanet boss Sharon Goodyer has a team of four professionals and a small army of volunteers helping out in the project which has been funded to the tune of £5,000 by Cllr Lewis. Sharon approached Central Cars to ask for their help due to predictions of rain this evening. Central Cars boss Maria Seager said: “We agreed as Sharon sounded like she was involved in a great scheme and it was something we could do to help people in our community. People using the free taxis, which will be on offer between 5.30pm and 6pm for tonight only, are asked to get together in groups of 4-6 people per car before booking. 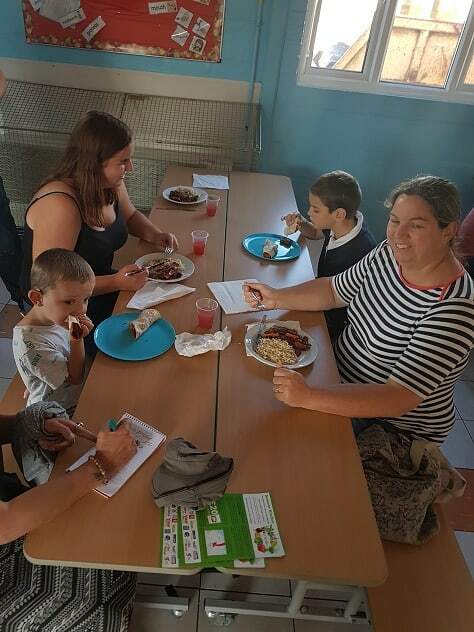 The Summer Kitchen has also been supported by Drapers Mills school, which has given the use of their site for free, Fareshare , ASDA , Geoff Philpott’s farm and the Windmill allotments are providing some of the ingredients. Your Leisure has designed banners and flyers and the Get Out Get Active team, led by Sarah Johnson, laying on family rounders as well as crafty and arty things to do. A hairdresser is offering cuts and there is also music and games. The restaurant and take away are free although the hope is that people who can afford it will put in a donation. The team are also be delivering takeaway meals in bulk to St Christopher’s Church in Newington. The community kitchen, which is an alcohol and drugs free area, runs every Monday, Wednesday and Friday from 6pm to 8pm up until August 31. Central Cars are on 01843 601601 or 888888. The firm also operates the Ageless Thanet scheme, giving 10% off to cardholders. Wow! Thank you Maria at central cars. Your community and I think you are a star. Thanks for your help Together the summer kitchen project is bring Thanet together.